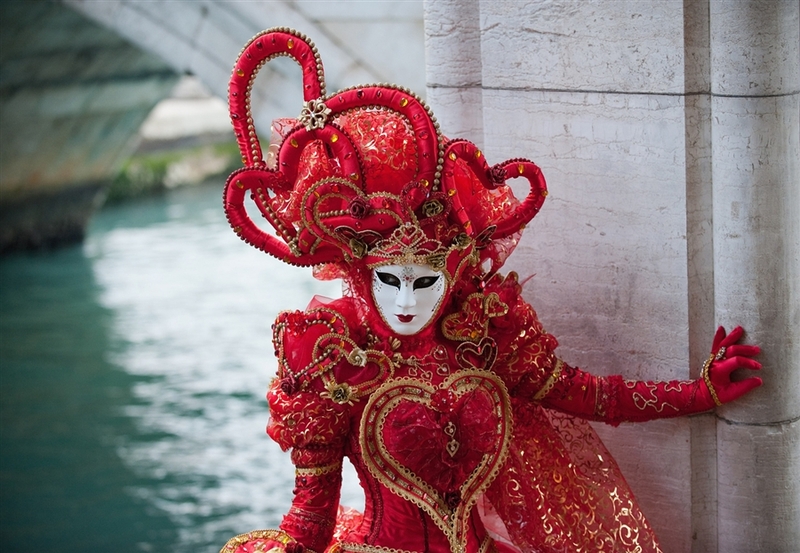 A fantastic opportunity to explore and photograph Venice in the final weekend of the Venice Carnival. If there wasn't enough to see and do in this unique city, you will have the added bonus of the fantastic events and costumes of the Carnival. Venice in winter can be very atmospheric, if you've seen the film Don't Look Now you'll know exactly what I mean! I will provide tuition, evaluation and guidance throughout. We will explore the city on foot and waterbus to see not only the main sights but also some of the quieter but no less photogenic areas of the city. The timings are designed to make the most of the best quality light and to try and avoid other tourists as much as possible. It also gives you scope to do your own thing as this city has so much to offer. On the Friday and Saturday Morning sessions will run from 09.00 - 12.00, evening sessions from 16.00 – 19.00. On the final day it will be a morning walk ending at lunchtime to allow students time to catch their flights home. All timings are flexible and subject to change particularly if we experience bad weather. I’m also able to help out with suggestions for flights and accommodation (see below) and to be a general guide when we’re there, just bear in mind I’m not a travel agent! No admission charges are included. I'm going to suggest flying out on Thursday 23rd ready to start on the following day but do fly out earlier if you want to spend more time here. It is up to each student to arrange their own transport and accommodation. This allows you to spend as much or as little as you like. If you want to stay on afterwards it’s a wonderful opportunity to see more of this fabulous city or other parts of Italy. I recommend looking at www.skyscanner.net for flights. There are some absolute bargains available at the moment, including BA, at the time of writing there were flights from around £25 each way. The longer you leave booking the more expensive your flight is likely to will be. I recommend staying in the Dorsoduro area of Venice. It's off the beaten track, very picturesque yet close to many of the major sights. 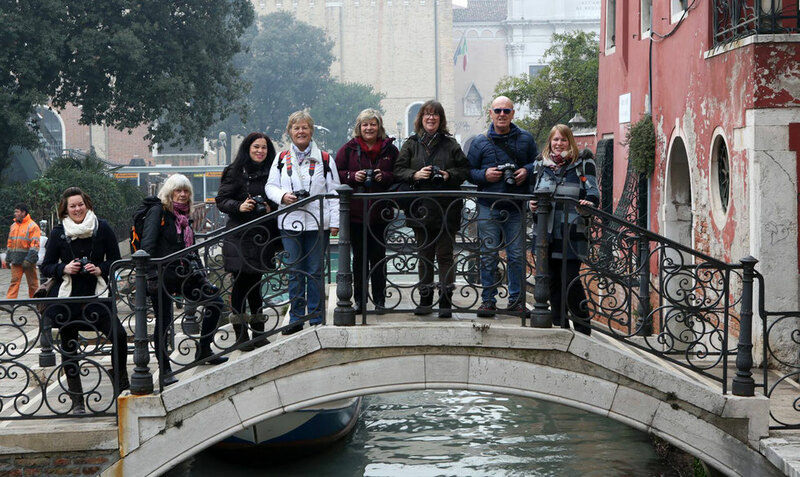 Our meeting place at the start of each day will be the Accademia bridge. Prices should be no more than you would pay in the UK. If you need any suggestions or help looking please do not hesitate to ask. Substantial savings can be made if you're prepared to share, let me know if you'd like me to put you in touch with other students looking to do the same. If you'd like to try something which is both different and great value for money why not try the Airbnb site or www.homeaway.com (which appears to be better value) or stay in a beautiful Venetian monastery. See www.monasterystays.com/. I have negotiated a discount with this b&b. Double rooms from 100 to 120 euros per night with a 10% discount for cash! This is extremely good value for Venice at this time of year. Please let me know if you want to make a reservation. This whole trip has been designed to offer you maximum flexibility with regard to costs. The price for the course is £95. To reserve a place simply click on link below. Please make sure you have read and understood the terms and conditions fully before booking a place.